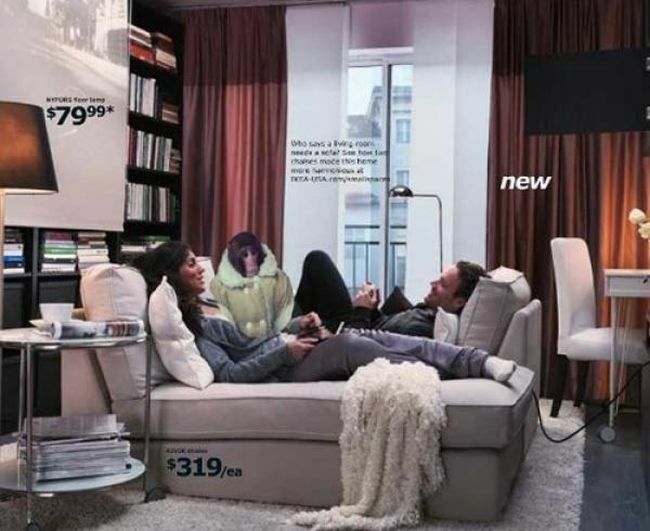 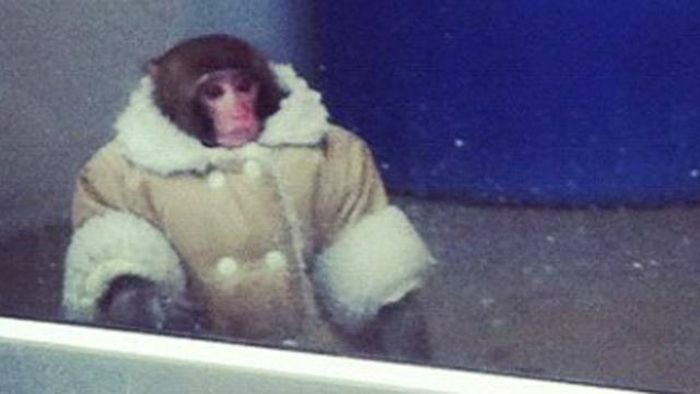 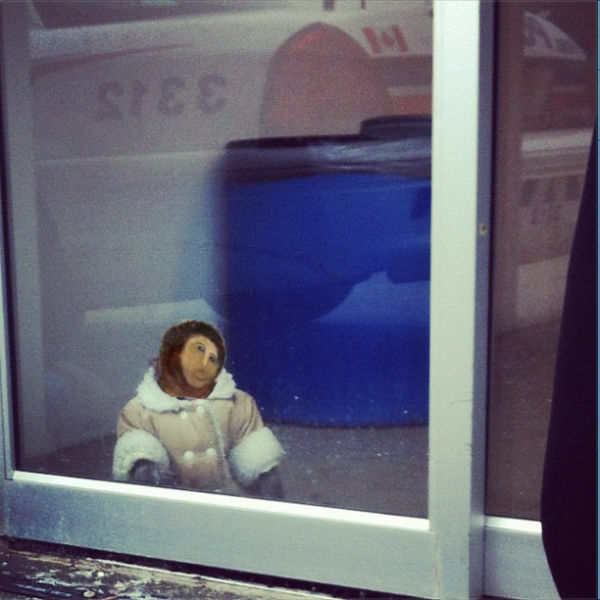 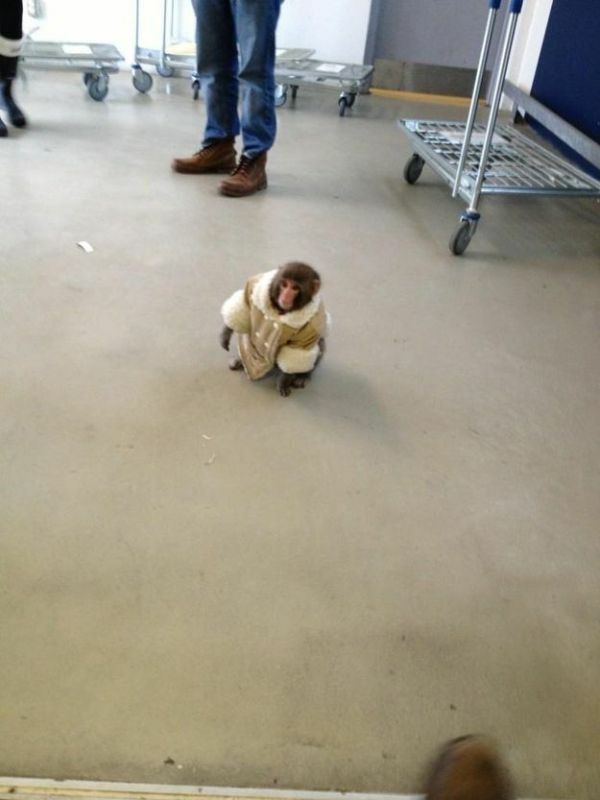 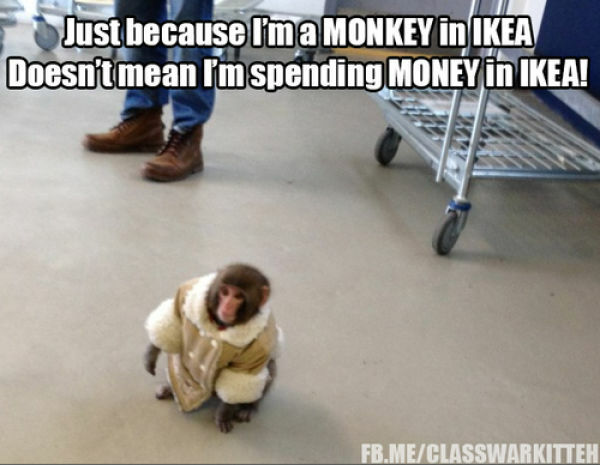 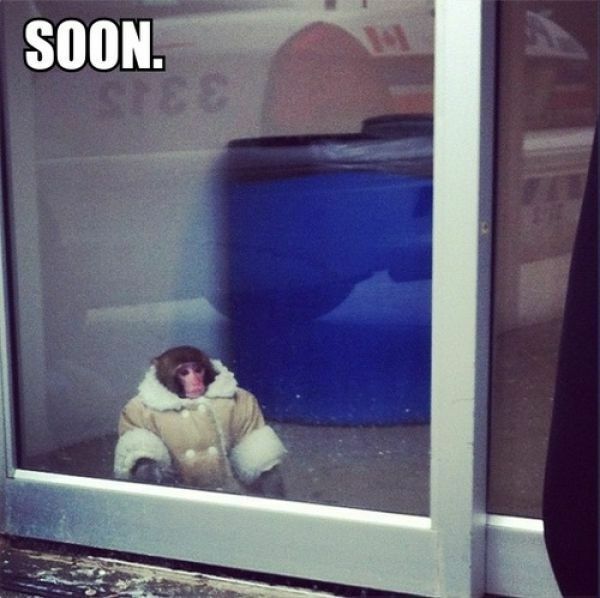 Ikea monkey is a new internet sensation. 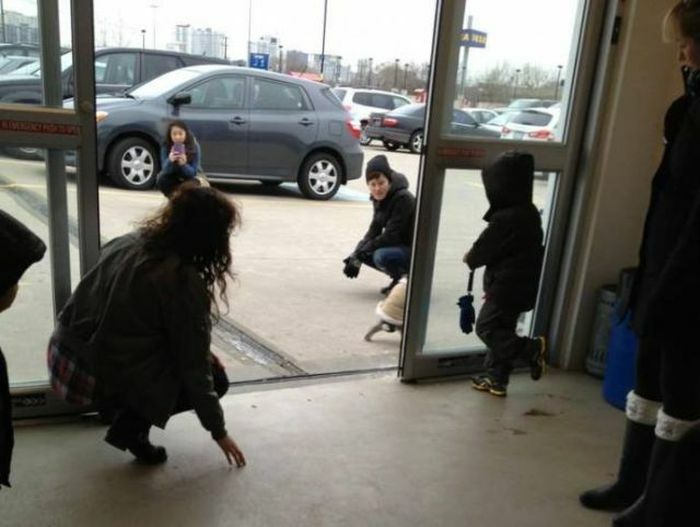 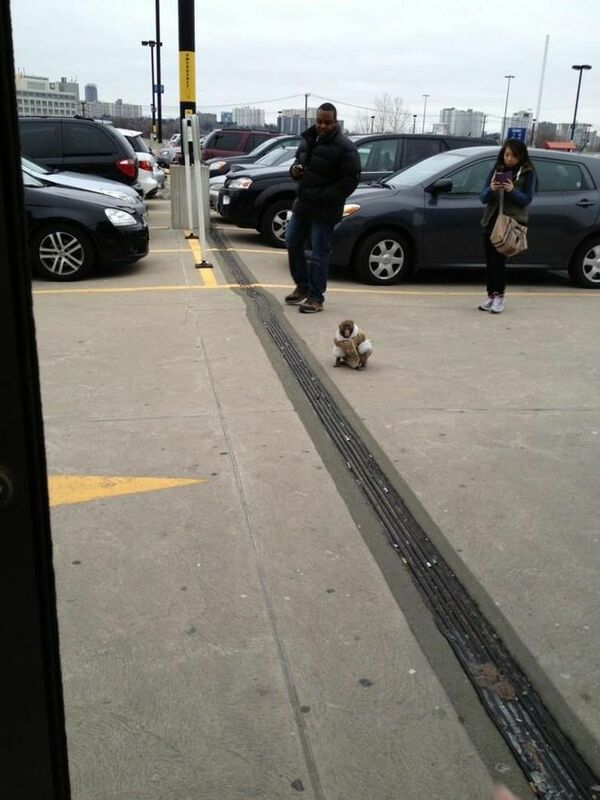 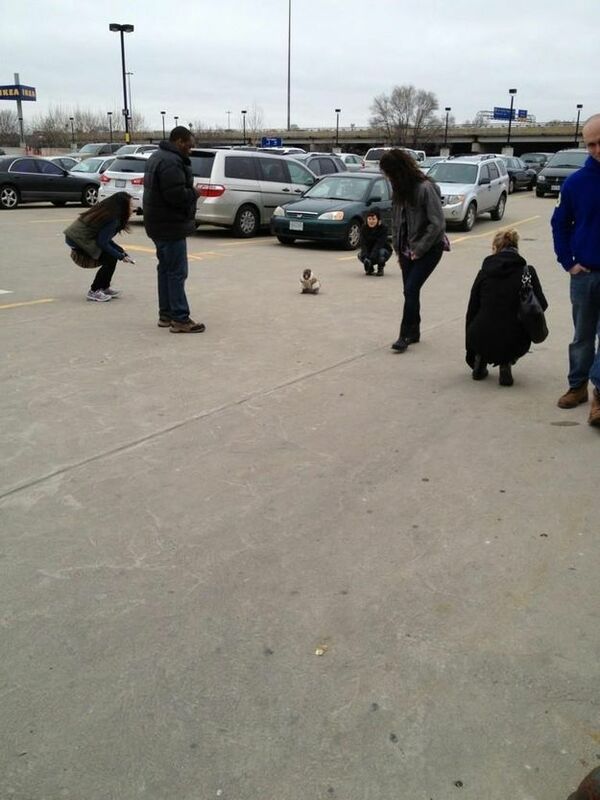 First it was spotted around an Ikea in Toronto, Canada. 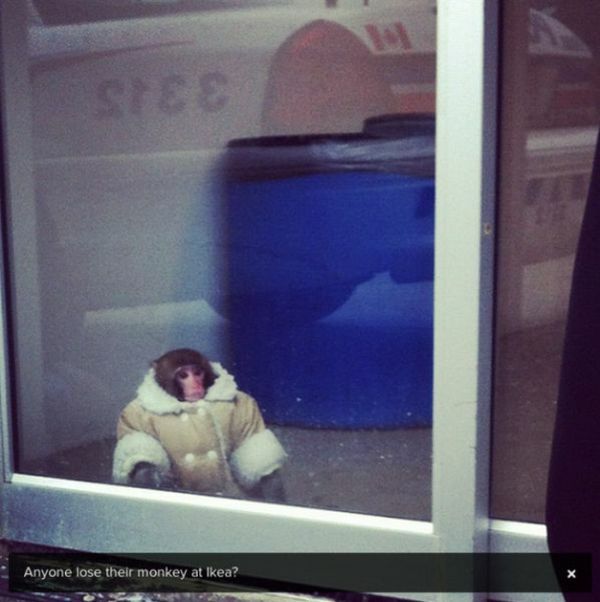 It was wearing this season's shearling coat. 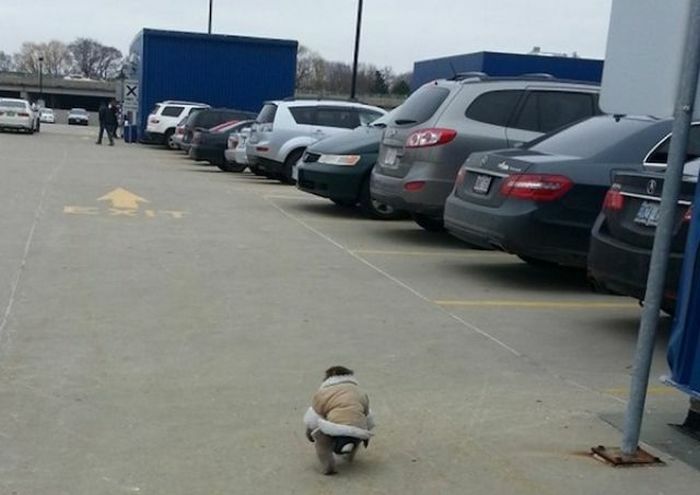 It was walking around the parking lot. 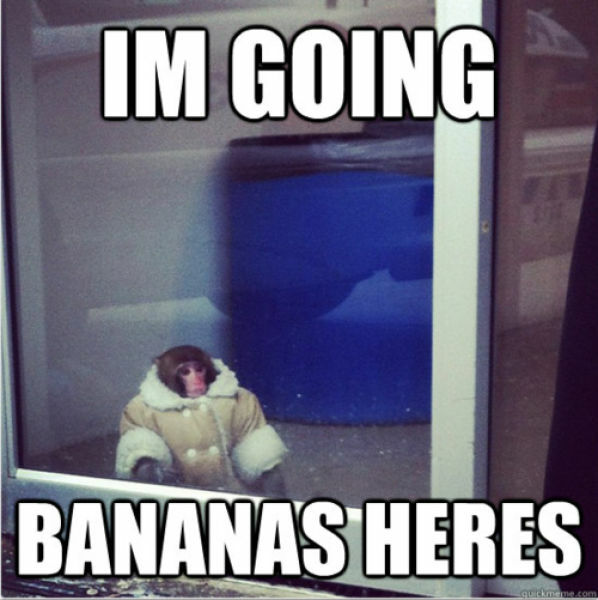 And a meme was born. 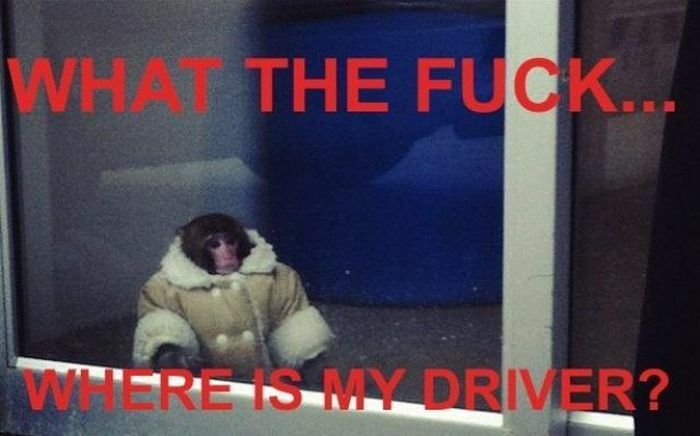 Now the monkey even has its own Twitter account. 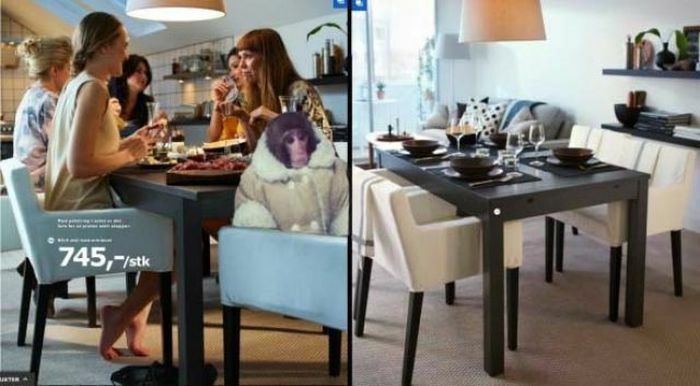 The owners of the monkey were fined for owning a prohibited animal. 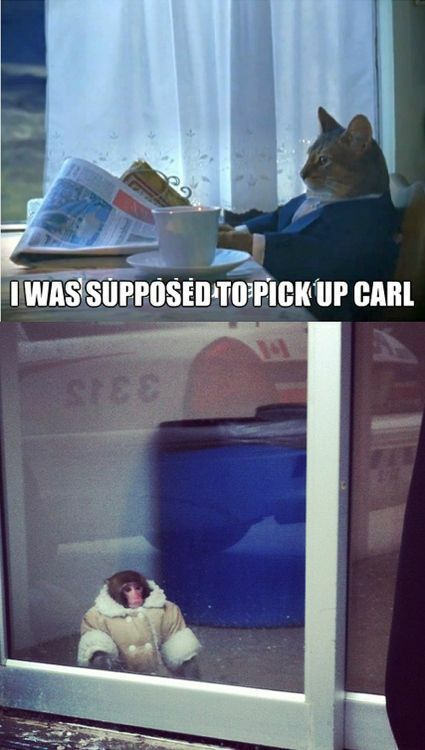 this is my kind of silly ......... let's move on now, shall we? 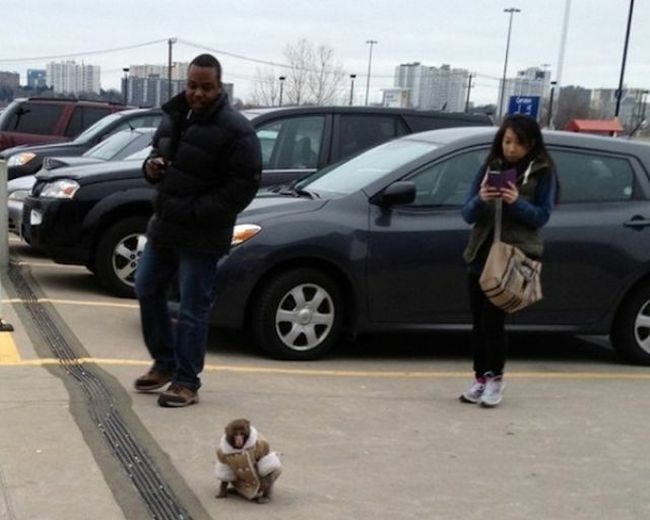 Owners were fined, monkey didn't have a passport? 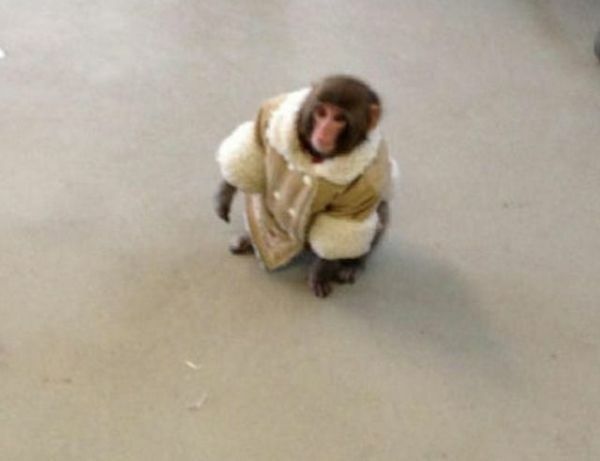 that's last year's shearling coat!